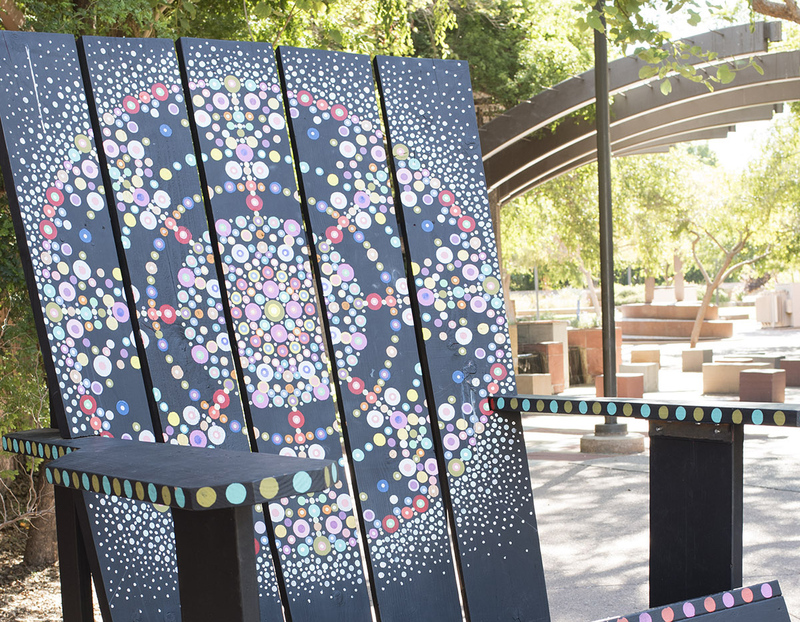 If you've been to Downtown Tempe lately, taken a stroll on Mill Avenue or simply scrolled through your Instagram feed, you may have seen this larger than life Adirondack chair, which debuted during Spring Training. The chair was originally painted red to support Tempe's "home team" during Spring Training -- the Los Angeles Angels. 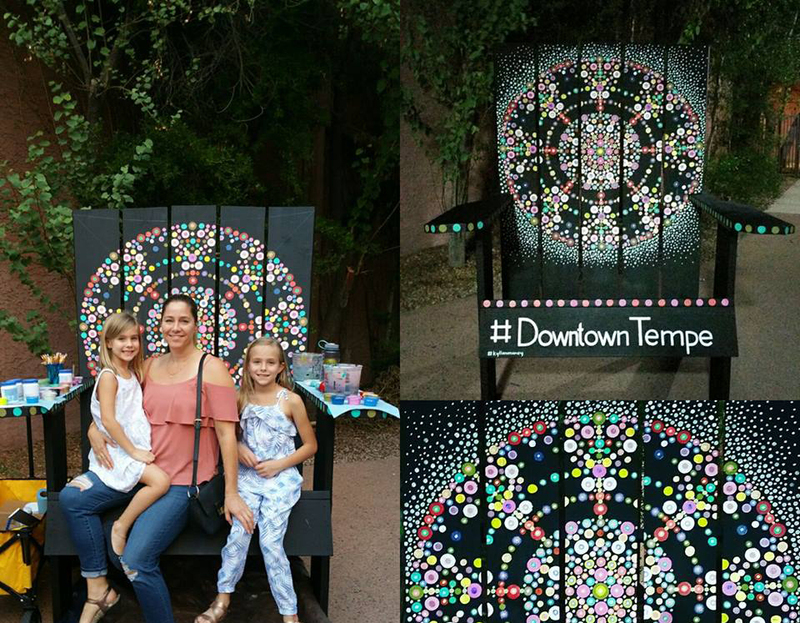 Six months later, after local artist outreach and community input, the "Big Red Chair" received a big colorful facelift...and we have local artist, Kyllan Maney, to thank for this refreshing pop of color in Downtown Tempe. Kyllan works with aspects of nature that remind her of the feelings of tranquility, discovery, spirituality and awe that exist when looking at plants and objects closely. The visual foundation of Kyllan’s work is rooted in scientific illustrations, religious icons, human relationships and inspiration from past and current artists. She enjoys the inventive, creative process of working with mixed media, oil painting and large scale murals. 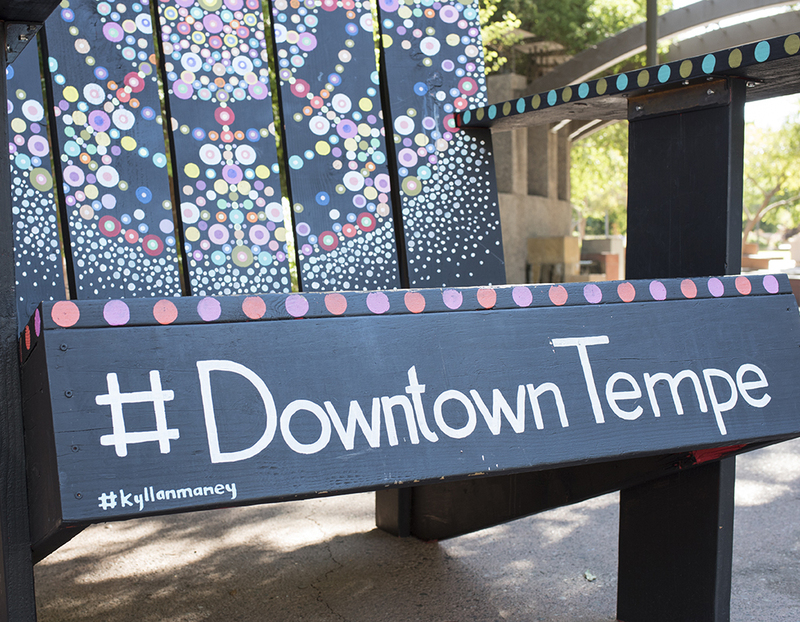 One thing is certain -- I'm in awe of Kyllan's project that has graced our downtown...and it seems like others are as well! The chair won't stay this way -- another artist will come along and pour their creative spirit onto it for the community to take in, but for now...Kyllan's beautiful piece of work serves as the perfect backdrop for selfies and photos of everyone in the community -- whether you're spending some quality father-daughter time (I see you @mainstreamclark) or exploring your downtown like a little tourist (super cute @luckyducki67). I LOVE that people in the community, both residents and visitors, enjoy this small (but not so small) addition to the street. Whether you realize it or not, this three-dimensional, nine-foot chair is just the pop of color that some of us need from day-to-day. 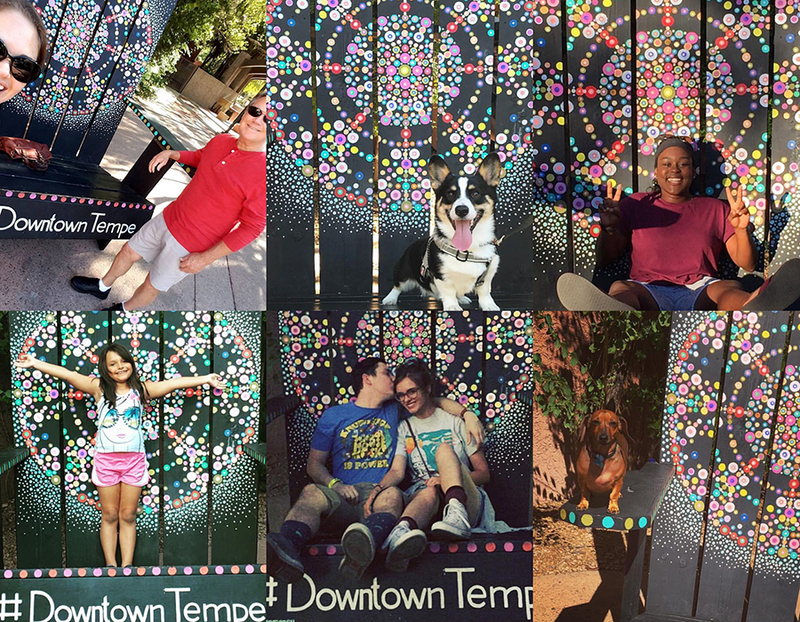 I beg you -- keep snapping pics and using #DowntownTempe when you post them on your social media profiles..I see you!